Are you thinking about a Mardi Gras Celebration? Or maybe you’re just a fan of Cajun or Creole food? 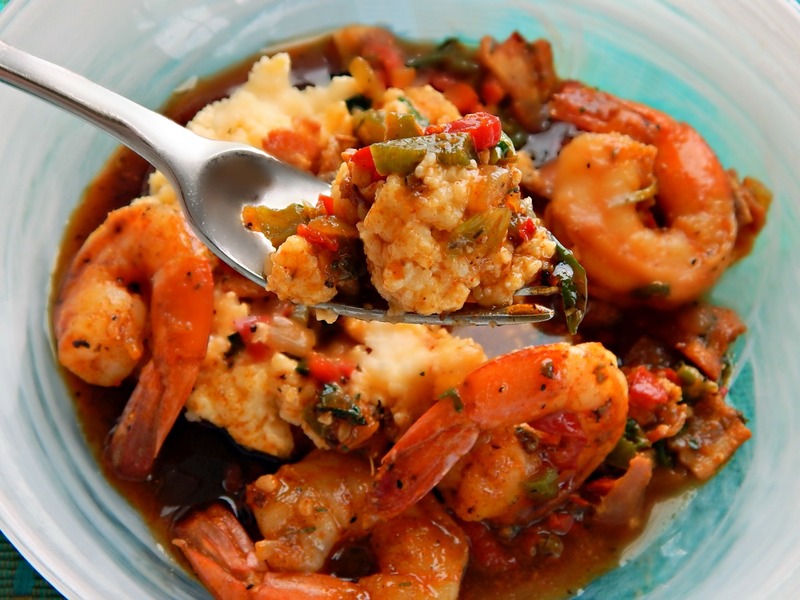 Here are my favorite recipes from Louisiana and New Orleans, with a few Southern recipes tossed in. (It seems I really like pimento cheese!) Click on a photo to take you to a recipe. I’ll be posting my Mardi Gras Party Recipes to Fiesta Friday 210, hosted by Laurena @ Life Diet Health and Jhuls @ The Not So Creative Cook. This entry was posted in Click here for Bargain Meals, Click here for Fabulous Food Posts and tagged Cajun & Creole, mardi gras, new orleans. Bookmark the permalink. I can’t believe that you have so so many Mardi Gras worthy recipes Mollie! You are prolific! I don’t know how you do it. hugs from here. Thanks, Rhonda! Right back at you, btw!! Thanks Jhuls! And thanks so much for hosting for us all! Hi Mollie, as usual a wonderful, comprehensive collection of deliciousness. I’m in awe, and I wish I lived next door to you 😄😄. Thanks Joanne! I wish you did, too! I need someone to feed!! My next door neighbor is on a strict diet – I usually try to share desserts with her, haha! I have half a mind to just put some of my scones on her doorstep, lol!! I was just thinking about you today because I want to attempt cauliflower rellanos! Can you tell me if the ones you had at the restaurant were like little whole pieces of caulifower or tiny shreds of cauliflower rolled up into a ball? I have not been able to get the thought of them out of my mind! They were pieces, fairly large, I’m not sure if they were flash fried or just sauteed til really crispy. They had a tomato sauce with cheese on top; Not drenched in cheese but a fairly healthy amount. We stop in Fredricksburg on our drive from OIB, NC to Pennsylvania just to go to Poncho Villa for these rellanos. The manager said he was taking them off the menu(apparently not a big seller) and if I passed by again he would give me the recipe. Haha. Sadly we aren’t making the trip til Christmas, so if you are able to recreate them, I will forever be in your debt. Thank you for answering me when I write. I feel such joy when I read your blog and get a reply. Im sure you are so busy, but you take the time out of your day, and that makes me very happy. The feeling is mutual!! And I’d love to see the recipe, too! I’m so intrigued! But I’m going to try to experiment a bit. I love Rellanos made with Poblanos, so I know I’d love this. 🙂 You’re the greatest and I appreciate the comments, always! And the facebook review!! I see quite a few tempting recipes in this collection! Those Cajuns sure know how to cook some tasty food! Isn’t it amazing? I still remember the first time I had Cajun food, it was in a little Jazz bar/restaurant in downtown Denver, and it was amazing! I got blackened something or other! These dishes look like they’d be tasty any time. Oh, yes! But it was fun to have an occasion to round them all up for! I love Cajun food! Mardi Gras is one of my favorite times of year! I know – it’s a nice time of year to have a party!! But can you make them in the Instant Pot? 😉 Laissez le bon temps roulez! lol! Well I am working on an instant pot Jambalaya! Thanks! It was fun to see how many recipes I had on my blog. I was a little surprised. Thank you much for the reblog! !